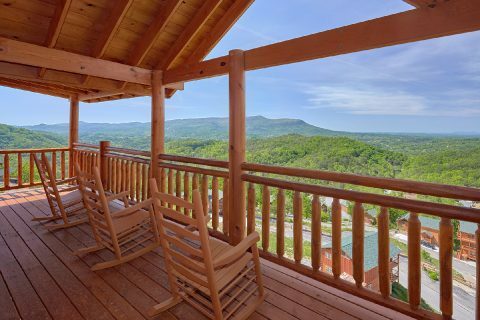 Ready for a relaxing getaway in the Smoky Mountains? 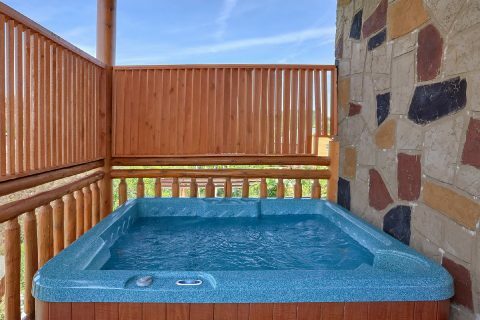 Then simply book "Splashin' With A View!" 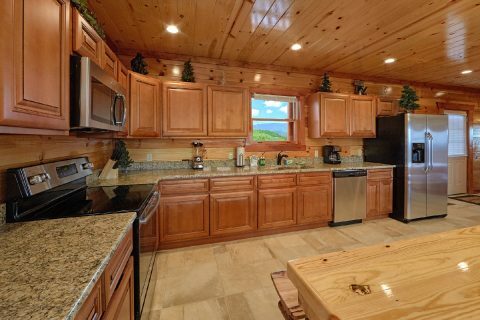 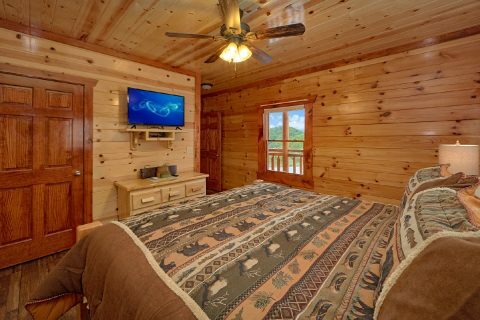 This luxurious 6 bedroom cabin in the Black Bear Ridge Resort area of the Smokies is perfect for anyone wanting a luxury getaway with impressive amenities. 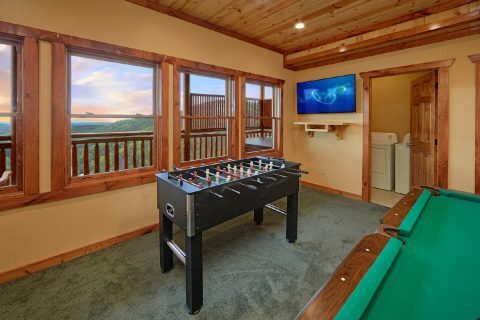 From this cabin's private indoor swimming pool to its theater room to the game room, there are plenty of nice features to enjoy during your stay. 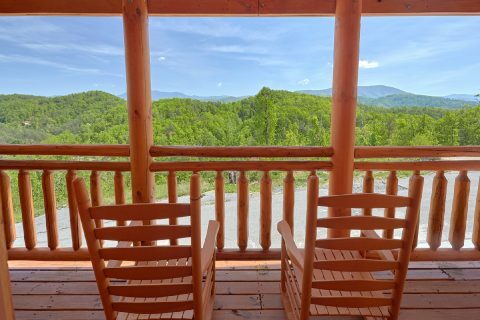 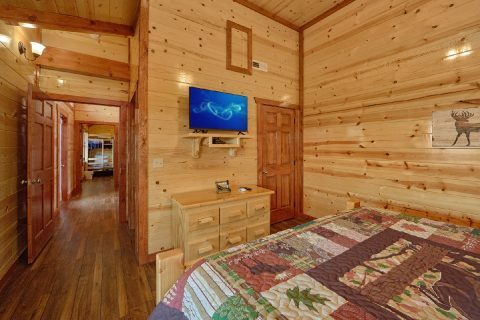 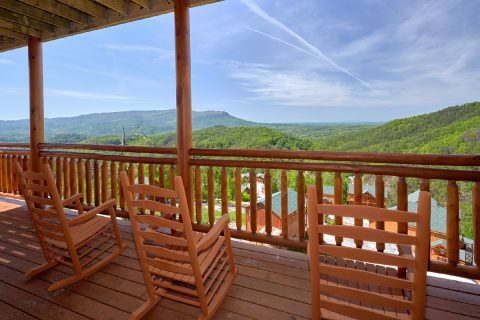 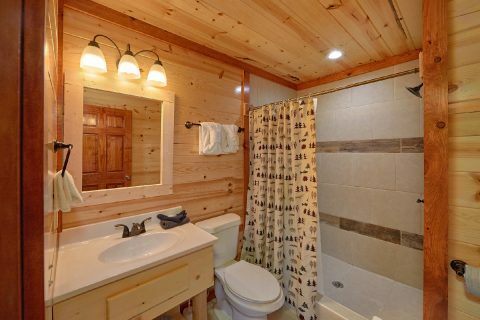 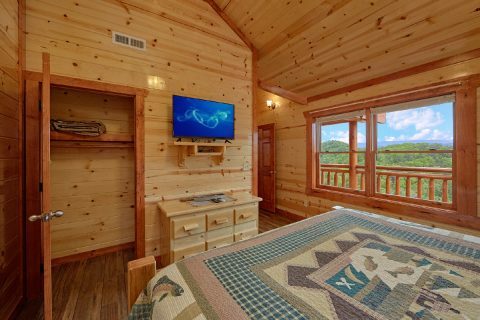 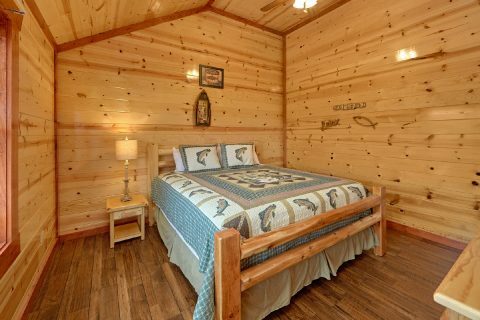 Better yet, since this log cabin is located less than 5 miles from the action-packed Pigeon Forge Parkway, you'll have no shortage of fun things to do and see during your stay. 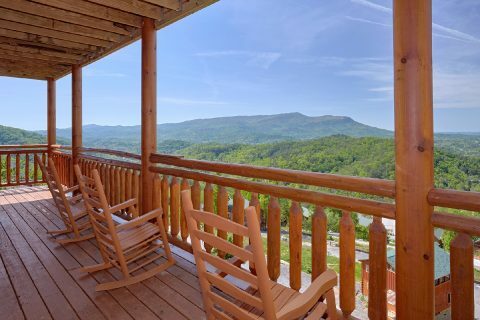 From riding roller coasters at Dollywood to seeing hilarious dinner shows to racing go-karts, you're bound to have a blast in Pigeon Forge. 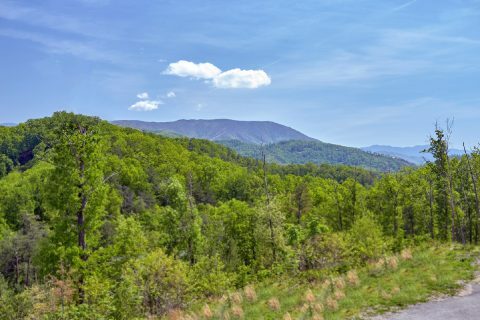 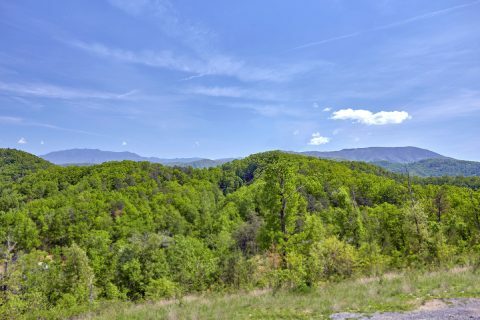 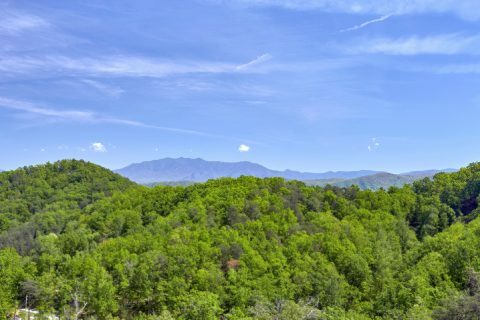 From the main road in Pigeon Forge, guests can also easily access other nearby highlights like Gatlinburg and the Great Smoky Mountains National Park! 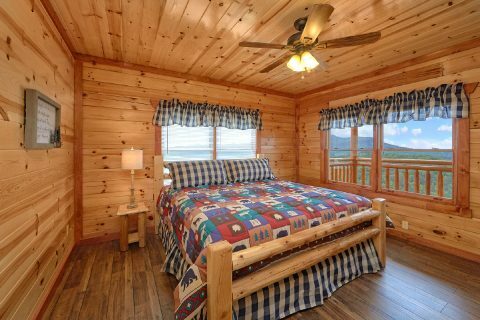 After a great day spent exploring the mountains of Tennessee, you'll be glad to return to your spacious cabin with everything you need to unwind. 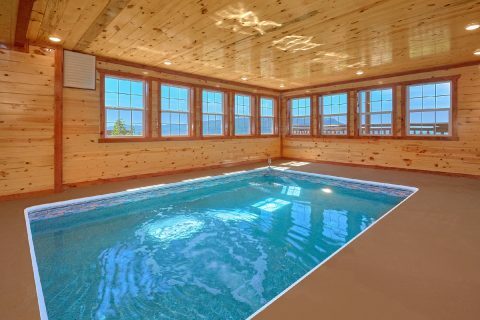 Kick back in the warm waters of your hot tub or take a dip in the indoor pool to rest your weary muscles. 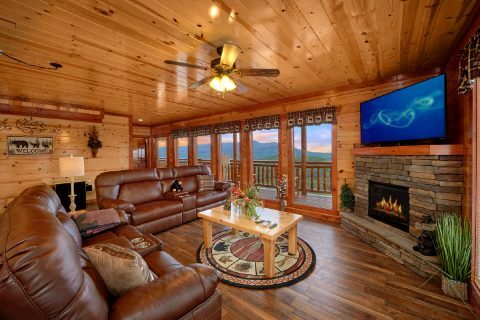 After a great dinner prepared with your cabin's kitchen or charcoal grill, everyone can gather around the warmth of the electric fireplace to trade stories about the day's adventures. 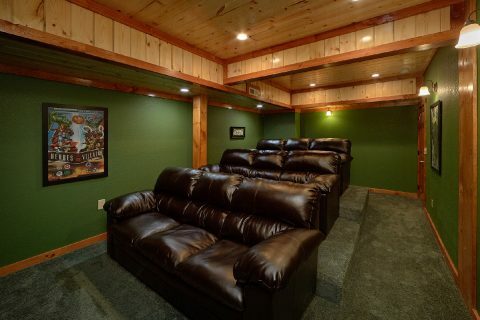 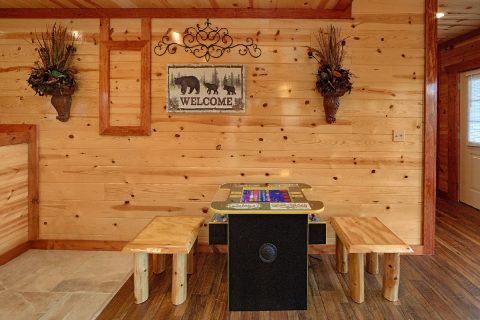 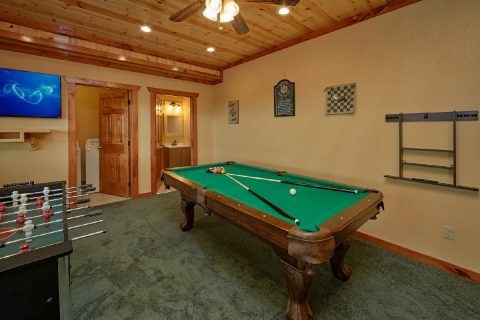 While there's plenty of entertainment in nearby Pigeon Forge, this cabin comes equipped with a game room with a foosball game and pool table, so you won't have to travel far to have a fun evening. 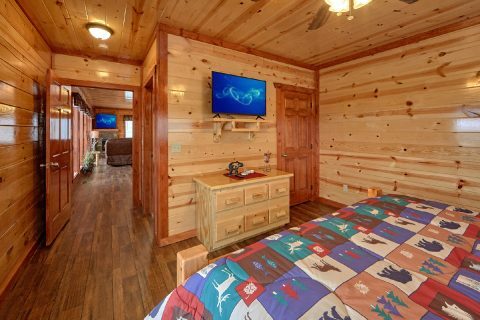 Additionally, your cabin also offers a theater room for enjoying your favorite shows and movies during your stay. 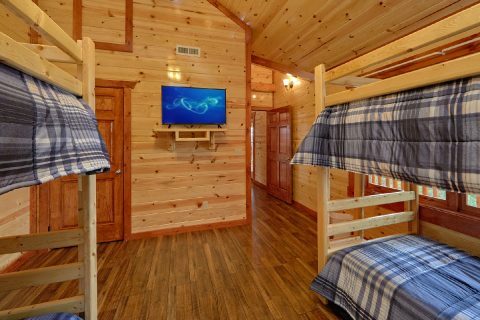 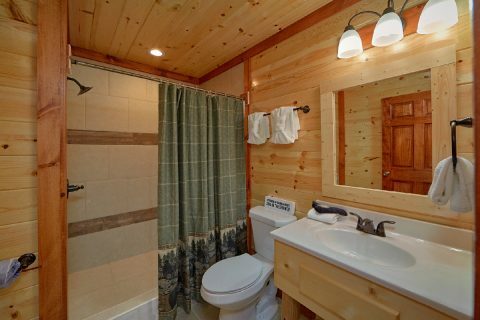 Lastly, this cabin offers practical amenities like WiFi Internet, and a washer/dryer to make your stay simple and care-free. 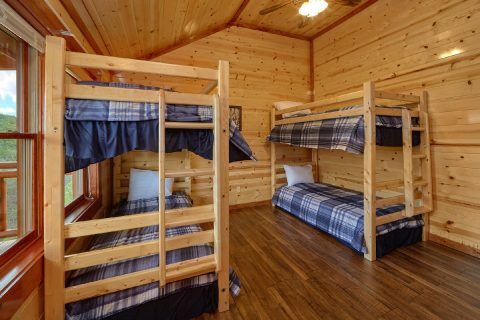 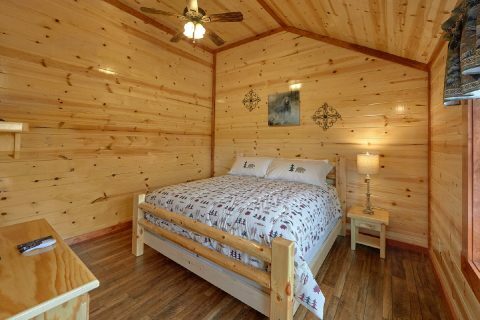 With room for up to 14 guests, this cabin rental is just the right size for a family vacation or a fun trip with friends. 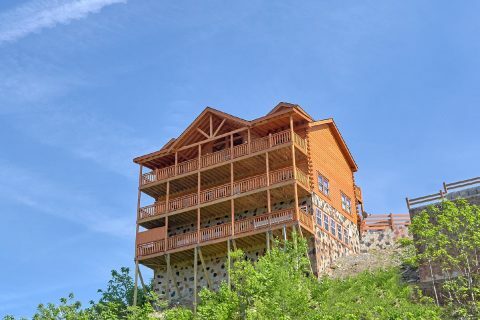 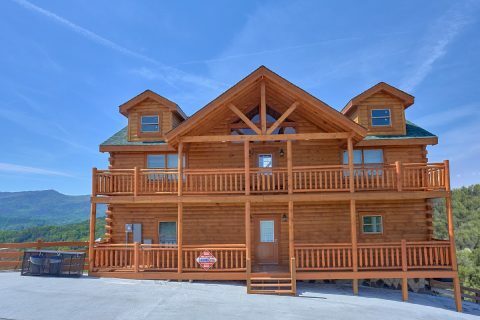 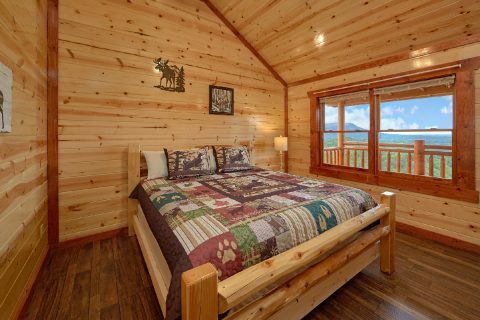 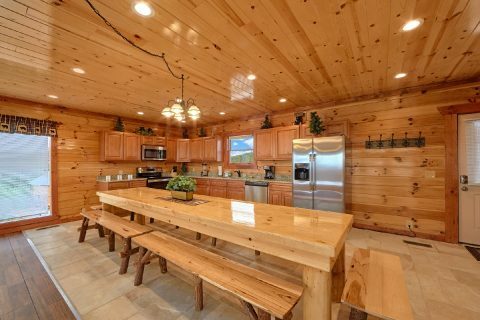 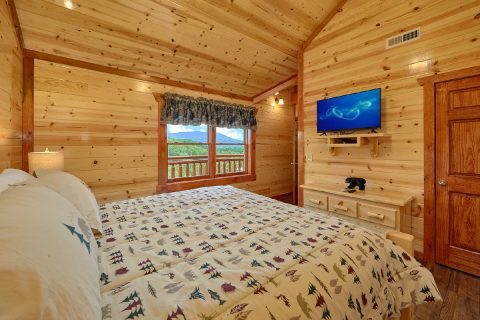 Book this log cabin rental with a private pool and a mountain view today with Cabins USA Gatlinburg to earn a special 15% discount on your nightly rate! 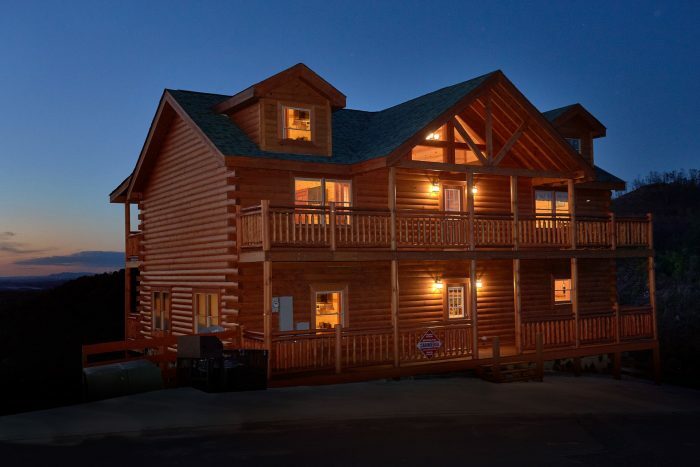 Book online today and save!